I have seen the Brizzly brand in Tweets over a long period of time and today I thought I would give it a try. 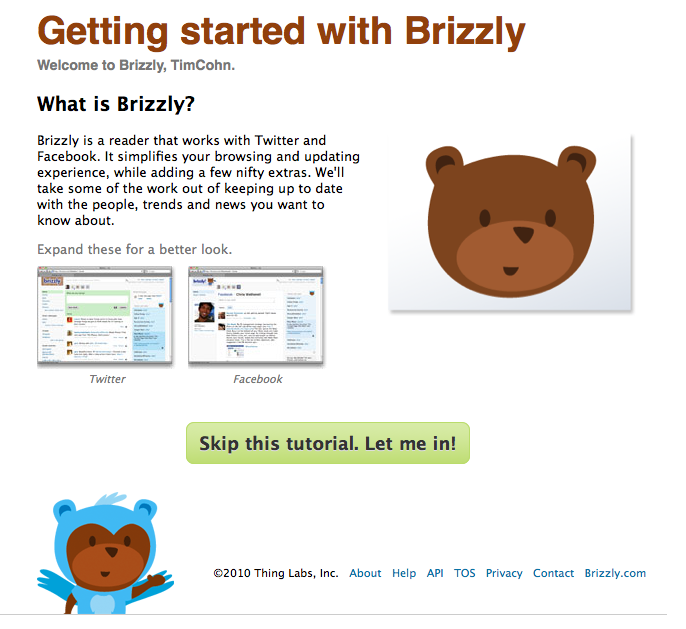 It looks like Brizzly takes all of the actions I have been taking elsewhere and consolidates them into one interface. This entry was posted on May 5, 2010 at 2:00 pm and is filed under Brizzly. You can follow any responses to this entry through the RSS 2.0 feed. You can leave a response, or trackback from your own site.